A flat is a lightweight timber frame covered with scenic canvas, or plywood. Flats are used to provide a lightweight and easy to move and re-configure backdrop to a stage set. Flats sometimes have windows or doors built into them to provide extra flexibility, for use in realistic settings. Masking flats are used to hide areas the designer does not want the audience to see, or to provide actors with an exit, or somewhere to store props. Hardboard is sometimes used due to its’ lower cost, but is unnecessarily heavy and will lose its shape in time. Most theatres have a range of stock flattage made to a standard size, skinned with plywood or cloth, and re-used many times. The plywood or cloth can be replaced when it gets worn, keeping the frame intact for many years. Flats should be carried in a fully upright position as this is easiest (and safest). One person on each side of the flat, with one hand high, and one hand low. The person on the other side should mirror that position. The flat only needs to be lifted an inch off the floor. If the flat needs to be laid on the floor (for recovering or painting etc.) the flat should start in an upright position. One person (or two, if it’s large) should ‘foot’ the flat (i.e. place their foot on the bottom rail of the flat, and on the floor, to prevent the flat from slipping or lifting up). Two people should then support the flat as they walk it down to the floor. This involves slowly walking backwards while supporting the flat, and walking hands higher and higher up the flat as it is lowered. 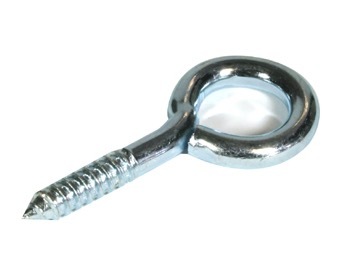 Jack: (US) A hinged brace. In the open position, it holds up a flat or other unit of scenery. A Tip Jack is a combinaton of a jack and castors so scenery can be supported or rolled. When it is in position, it is tipped to vertical. When rolling, it leans backwards. Stage Brace: (UK) A wooden or metal extendible brace with a double hook at one end and a metal foot at the other end, to put a brace weight onto. 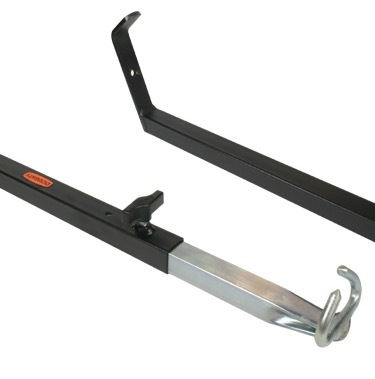 The brace holds a flat upright, and should not be used on flats more than 10 feet high, as it doesn’t provide as much support as a French Brace. French Brace: Wooden Right-angle-trianglular brace which is hinged to the flat (using pin hinges for quick removal). Provides a more solid support than a stage brace, but takes up more space in storage. Should be used for large flats as it provides support over the vertical run of the flat more effectively. Brace Weight: Also known as a Stage Weight. Heavy metal weight used to support a flat using a stage brace. A lightweight canvas flat may also require an additional weight on the bottom rail of the flat, to hold it to the floor securely. Throw Line: A rope used to hold adjacent flats together as one via cleats. A technique to get a set of flats to a horizontal position on the stage floor by removing weights and braces, ensuring the area is clear and that people are wearing safety goggles if there’s danger of flying dust, then footing the flats from behind, and gently pushing them over / letting them fall so they are cushioned by air pressure and land safely on the deck. The stage should be swept before this is done to ensure the flats aren’t damaged by stray screws and that they aren’t covered in sawdust. All of the structural parts of the flat, below, are made with 3″ x 1″ timber (75mm x 25mm). Rail – horizontal batten within a flat, forming the top or bottom of the flat. The rail is the full width of the flat. Stile – side or vertical piece within a flat, which sits between the rails of the flat. Sill – the bottom rail of a flat. Toggle – a support at the middle of a flat, which sits between the stiles. Especially important for canvas flats, where there should be a toggle approximately every 75cm (2 feet 6 inches), to provide structural strength to the flat. Keystone – small piece of plywood (around ¾” or 19mm thick) which connects the toggles to the stiles. Corner Block – triangular piece of plywood (as above) which connects and braces the rails to the stiles. Corner Brace – used to brace between the rail and stile, at the top and bottom of one side of the flat. Any cloth can be used. Muslin provides a very cheap and lightweight covering for short-run shows. Canvas should be used for heavier duty use, and for flats (e.g. black masking flats) that are likely to remain in stock and unaltered for a long period. Two flats hinged together on the vertical edge, to be free standing, and normally used as a backing for a doorway or window. They should always be ‘run’ with the hinged edge leading, to prevent them opening up. Book flats are free-standing when angled open, allowing quick setting and compact storage. Braces and weights should always be used if they’re used where they could get knocked, or where children or young people are around, or if the book flat is open more than 90 degrees. ‘Booking’ describes the action of opening or closing a book flat. A canvas flat commonly used on theatre shows. Much more lightweight and compact in storage, compared to a Hollywood Flat (see below). A Hollywood is a timber flat (using 3″ x 1″ timber on edge to frame it, with a plywood skin) with a much wider edge than normal. Hollywood flats are mainly used in the film/tv business. The thicker edge gives the flat extra stability, can be easily clamped to adjacent flats, and looks more like a real wall on camera. A piece of solid scenery used to prevent audiences seeing backstage (or unwanted) areas. Shaped piece of scenery added to the edge of a flat instead of a straight edge. Also known as a cutout. Flats joined to the DS edge of flats of a set or unit that ‘return’ into the wings. They help mask and also keep the DS edge of a set from looking raw. 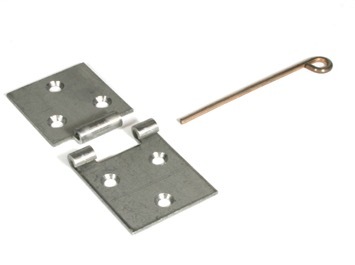 A piece of flat iron screwed to the bottom rail of a door flat which holds it together, and ensures that the flat doesn’t warp. Invisible to the audience. A range of scenic canvas or cloth is available. All fabrics used on stage should be fire retardant, so ensure you use Durably Flame Retardant (DFR) cloth at the very least. This has been treated with flameproofing chemicals during manufacture, and can be washed (once or twice) without losing the flame retardant properties. Inherently Flame Retardant (IFR) cloth is best, as it requires no treatment. JD McDougall is a supplier of scenic cloth in the UK. Other wood materials such as MDF are not suitable for building flats. Although not based on flats, a pipe and drape system can be used to create a masked-off area (e.g. wings in a multi-purpose space) or booths in an exhibition context. Vertical scafford tubes in heavy boom bases (e.g. 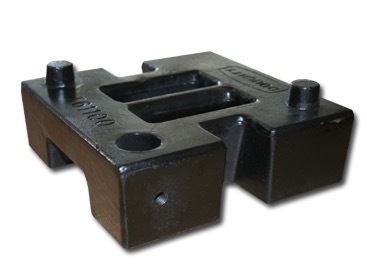 tank trap) or telescopic stands are used to hold horizontal scafford bars to which drapes are attached. This method is perfect where space is at a premium, and where masking needs to fit to a specific width space. This flat panel system made by Frameset in the UK consists of folding aluminium frames with cloth covers, which can be assembled with no tools in minutes and folded up into a bag for transportation or storage. Very suited to small-scale touring shows, educational environments with limited storage and exhibitions. Many different colours and designs of cloth can be used on the basic frame system.